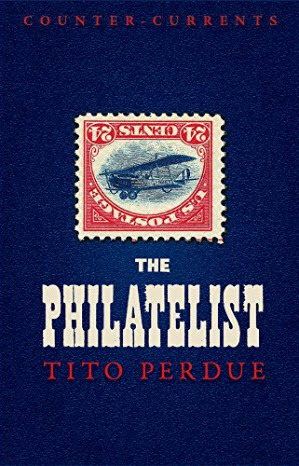 Tito Perdue’s The Philatelist is a novella about the joys of stamp collecting as a refuge from an unhappy life. The Philatelist is paired with the short story “Good Things in Tiny Places,” read on the occasion of the author receiving the 2015 H. P. Lovecraft Prize for Literature. Tito Perdue is the author of sixteen other novels, including Lee (1991), The New Austerities (1994), Opportunities in Alabama Agriculture (1994), The Sweet-Scented Manuscript (2004), Fields of Asphodel (2007), The Node (2011), Morning Crafts (2013) Reuben (2014), the William’s House quartet (2016), Cynosura (2017), Philip (2017), The Bent Pyramid (2018), and Though We Be Dead, Yet Our Day Shall Come (2018). In 2015, he received the H. P. Lovecraft Prize for Literature. Published: June 11, 2018 | This entry was posted in fiction, news item and tagged Counter-Currents title, news items, perdue cc book. Both comments and trackbacks are currently closed.